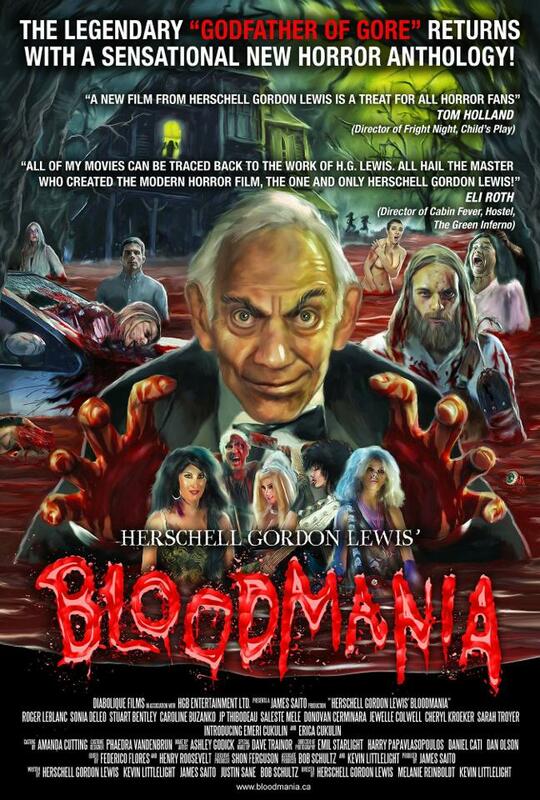 Official Theatrical Poster for Herschell Gordon Lewis’ BLOODMANIA! Here it is, the official theatrical poster for the horror anthology I wrote one segment of, Herschell Gordon Lewis’ BLOODMANIA! I can’t tell you how exciting it is to have something I wrote directed by the Godfather of Gore himself! For more on the project, go to www.bloodmania.ca!